A call for integrative responsibility to the self, the other and the whole – me, we, all of us – forms the core of an ongoing, collaborative inquiry underpinning the GRLI’s work and ways of working. As eight billion of us collectively press against multiple planetary boundaries, with associated challenges to societal and economic stability, the time has come to activate our global responsibility gene. The GRLI holds and facilitates an inclusive and collective call for deep systemic change across three domains: how we live and make a living, how we learn, and how we lead. Being consciously connected to one’s own self, to others in meaningful relationships and to the whole is a prerequisite for making that change a reality. This emergent paradigm represents a shift in consciousness from “I” to “We”, to “All of Us”. Always acting with the common good in mind. Being consciously aware of the interconnectivity and interdependency of the world. Recognising that change needs to take place at the personal, organisational and systemic levels – I, We, and All of Us. Creating impact at the organisational and systemic levels through the leadership and practice of committed, dedicated and empowered individuals willing to bring a ‘whole person’ approach to their work and to their lives. Being true to fundamental values regarding human freedom, dignity, respect, equal opportunities and human rights, as well as contributing to the achievement of the Sustainable Development Goals. Hands-on results on the ground through actions that stand the chance of producing long-lasting, scalable effects. 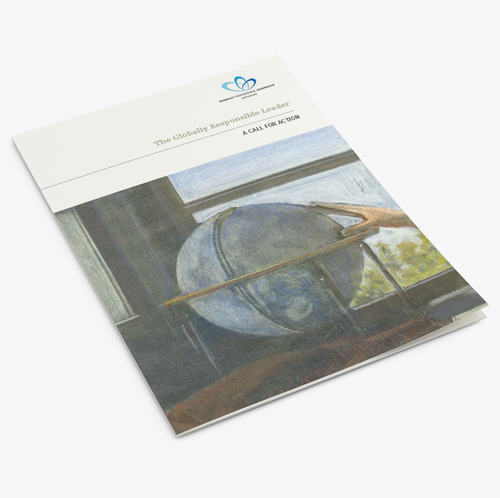 Download our latest call to action “Global Responsibility, Now” from the Knowledge Centre link below. 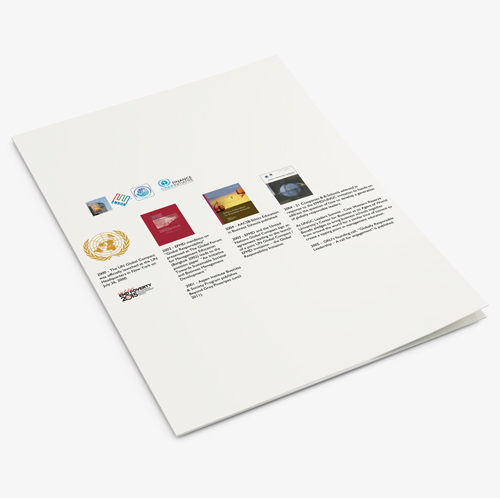 Decisions about the focus and content of our joint work as a global partnership and the ways in which we deliver the work are informed by a number of guiding principles that have been distilled through our experience and shared learning since 2003. Everything we produce is a contribution to the global commons and is freely shared. What we do should create hands-on results on the ground and long-lasting, scalable effects. We recognise that effective change requires work at individual, organisational and systemic levels. Making an impact at the organisational and systemic level requires committed, dedicated and empowered individuals who are willing to bring a ‘whole person’ approach to their work and to their lives. The natural system is not a stakeholder in our businesses; it is the ultimate foundation of the rules. Everything, everywhere is linked in a single system, therefore, every action must be considered in the context of its effect on the whole system. Globally responsible leaders must become engaged in solving the dilemmas that confront us as a consequence of the first two laws. 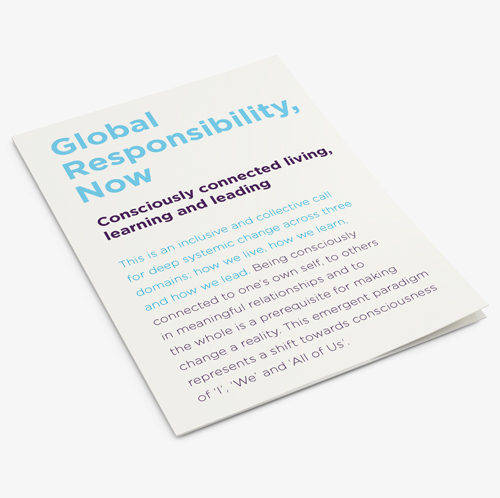 How does Global Responsibility relate to “me”, “we” and “all of us”? Successful participation in the GRLI community and projects has been and should continue to be transformative for individuals. Profound connections across the world on a shared mission affords new knowledge, collaboration opportunities, skills development and many other benefits. Organisations which fully engage with the work of the GRLI have the potential to transform part or all of their activities. Numerous examples of such transformations exist among the GRLI partners where the role of GRLI has been ranging from inspirational to being of core practical importance to a specific change process. Examples include the GRL Programmes at Petrobras and Daimler and transformation in learning organisations such as NIT Hamburg, Business School of Lausanne and Fundaçao Dom Cabral. Systemic impact is an impact that pervades all aspects of education and business ecosystems. Global responsibility embedded in leadership and practice of organisations and societies worldwide. The GRLI’s mission is to catalyse the development of globally responsible leadership and practice in organisations and society worldwide. Convene, facilitate and foster collaboration amongst actors and actions that hold a shared interest in promoting and developing responsible leadership. Pioneer and prototype new methods for learning and community building. Incubate ideas and initiatives that create impact and that accelerates progress and transformation towards global responsibility. Contribute systemic and integrative thinking to the discourse on responsible leadership in education, research and practice. Promote awareness of global responsibility as the highest order of responsibility and contribute to the realisation of the UN Sustainable Development Goals. These values are not an end point but a starting point for individuals and organizations. Who and what is the GRLI? 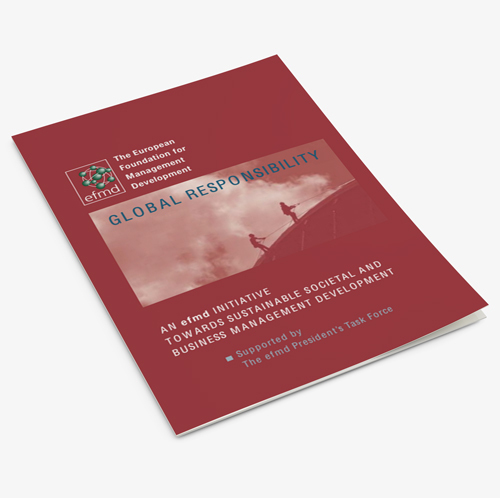 The Globally Responsible Leadership Initiative exists to catalyse the development of globally responsible leadership and practice in organisations and societies worldwide. It is the leading incubator for innovation and new practice in business schools and for collaboration with business in the space of ethics, responsibility, and sustainability. We bring together an international multi-sector community – leaders, practitioners, professionals, academics and the next generation – to create awareness of the need and urgency for responsible global action and to equip individuals, organizations and societies to respond to this call. GRLI is not a think tank or a member-serving organisation. It is a think-and-act enabler; a global community of responsible action with the ultimate measure being its aggregated impact. We operate as Communities of Responsible Action (CoRAs), meeting physically and virtually, focussed on initiatives that result in new knowledge and practice. Convene, facilitate and foster collaboration among diverse groups of people and organisations that share a commitment to the development of a humanistic, fair and sustainable world. Incubate ideas and initiatives that ensure impact through innovation, experimentation and actions for transformation towards global responsibility. Promote awareness of global responsibility as the highest order of responsibility and contribute to the realisation of the Sustainable Development Goals. Where did the GRLI originate from? The GRLI is the result of the first organised relationship between the United Nations and business schools (UNGC & EFMD MOU 2003). In 2004 UNGC & EFMD selected 21 Companies & B-Schools to hands-on address the question of how to develop a generation of globally responsible leaders. This resulted in the 2005 founding call of the GRLI. Subsequently GRLI played a central role in the development of the Principles and the establishment of the Principles of Responsible Management Education PRME (2006-2007). In 2012, following the impact of the 50+20 vision and GRLI’s pioneering work on Whole Person Learning, AACSB International and EFMD entered into a strategic partnership agreement with the GRLI in terms of which “GRLI will serve as a primary operational arm of AACSB and EFMD in the arena of responsible leadership and sustainability”. The Strategic Partnership agreement with AACSB and EFMD was reset in 2016 to include UNGC and in terms of which GRLI hosts a collaboratory on Responsible Management Education which includes co-facilitation of the PRME Champions. Today, the GRLI is both a formal partnership of 50 organisations (11 companies, 36 learning institutions and 3 global organisations) and a less formal global community comprising a number of organisations involved informally in communities of responsible action. Within this we have important strategic partnerships with EFMD and AACSB International as well as the UNGC. We also have a total of 32 alumni organisations that have been involved in the GRLI at one time or another since its inception and are currently not actively engaged (though we maintain informal links with many of the individuals within those organisations). What impact has the GRLI had? 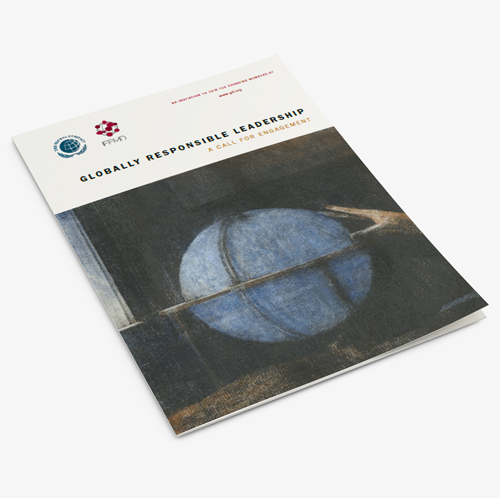 A clear positive outcome of the past decade is that the concept of globally responsible leadership is now embedded in the global discourse – a direct consequence of the creation and work of the GRLI. Our timely message has spread virally to an extent that the idea of such a leadership being the aspirational “new normal” has become culturally ingrained in the international lexicon. Current projects and activities include faculty development, the establishment of a worldwide network of local Councils for Leadership, Business Summits, Academic Conferences, research into the Corporation of the 21st Century, a young ambassadors programme, blueprinting the business school of the 21st century and a book series.